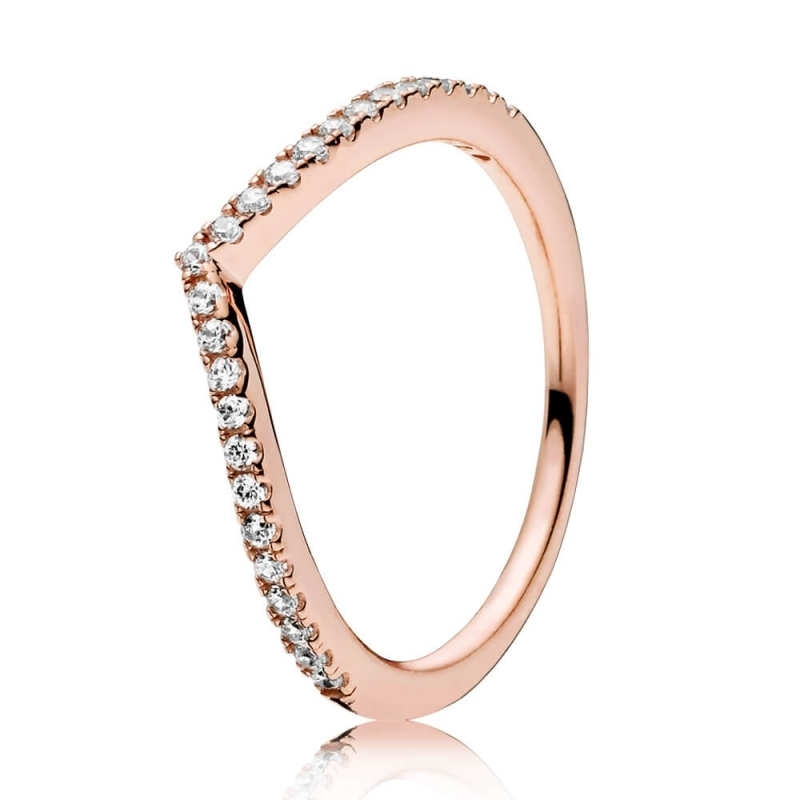 PANDORA Rose Shimmering Wish Ring. A svelte line of sparkling stones embellish this gorgeous V-shaped PANDORA Rose ring, bringing a touch of elegance to its distinctive design. Wear this wishbone ring alone for a subtle statement, or stack with similar styles in contrasting textures for endless style possibilities.